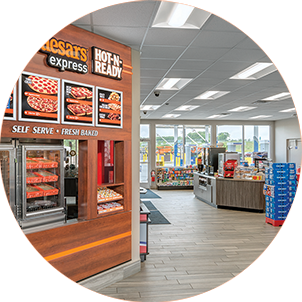 Little Caesars is an international brand and household name - and it has come a long way since its start as a single store in Garden City, Michigan, a suburb of Detroit in 1959, and the opening of its first Canadian franchise in 1969. 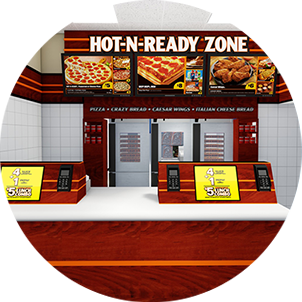 Little Caesars is growing, looking for franchisees to help bring HOT-N-READY pizza to communities nationwide. There are opportunities in nearly every province across Canada. 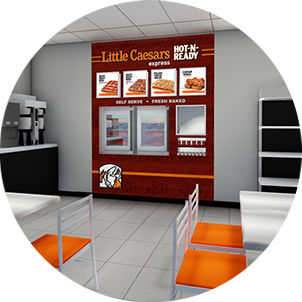 Little Caesars continues to innovate to provide more value to more people in more places. This means business opportunities for entrepreneurs, new stores across the world, tasty and convenient new products and marketing innovations that delight customers. Most important, Little Caesars remains focused on what it does best: providing pizza made with our finest ingredients at a great price around the world. Our pillars of success are based on industry leading quality, value, and convenience to our customers. Proven, simple operations that foster growth for our franchisees. We are dedicated to providing ongoing training and support. Little Caesars connects with communities from coast to coast. We have over 50 years of tradition and brand recognition. We have partnerships with several financial institutions. 1) Join us at our next 'Franchising with Little Caesars' webinar! 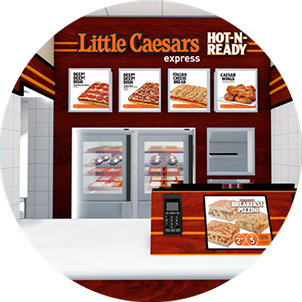 Learn more about Little Caesars from the comfort of your computer. This presentation is 30 minutes packed full of great content! You'll learn more about our history, why pizza?, how we provide marketing and operational support and the what it takes to become a franchisee It's worth the 30 minutes to see if you're ready to be your own boss! A 30-minute overview of what's involved in becoming a Little Caesars franchisee. Why IS Little Caesars the Fastest Growing Carry-out Only Pizza Chain in the WORLD?! Please complete the following contact form to download our brochure and application, which includes a description of our discovery process, and financial breakdown. Please send me periodic updates on Little Caesars franchise opportunities and news. I realize I can unsubscribe at any time.